Happy Monday! Hope everyone had a fantastic weekend. Today's the day the foundation work begins on our house! Super nervous! We're hoping all goes well. In the mean time though...Saturday we went to a wedding where the guests dressed up in costumes. 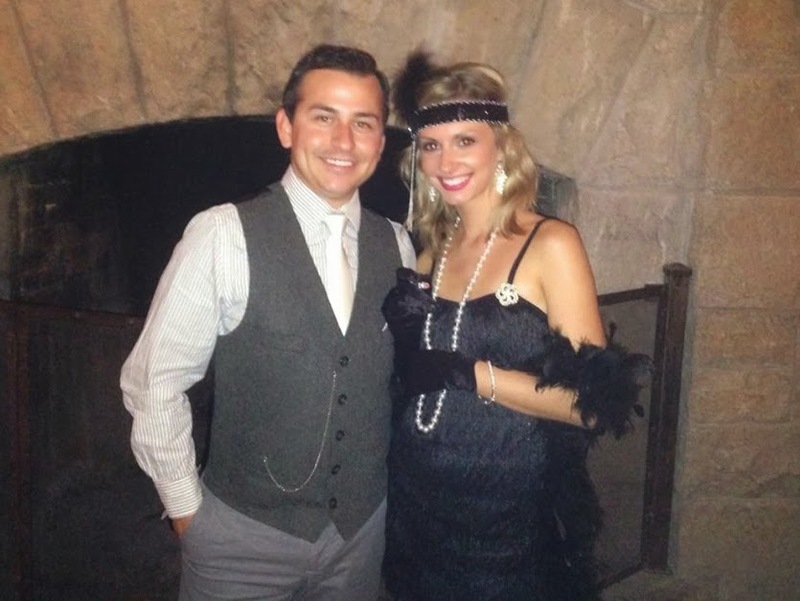 Trent and I 's costumes were Gatsby-inspired! Has anyone else seen the movie? 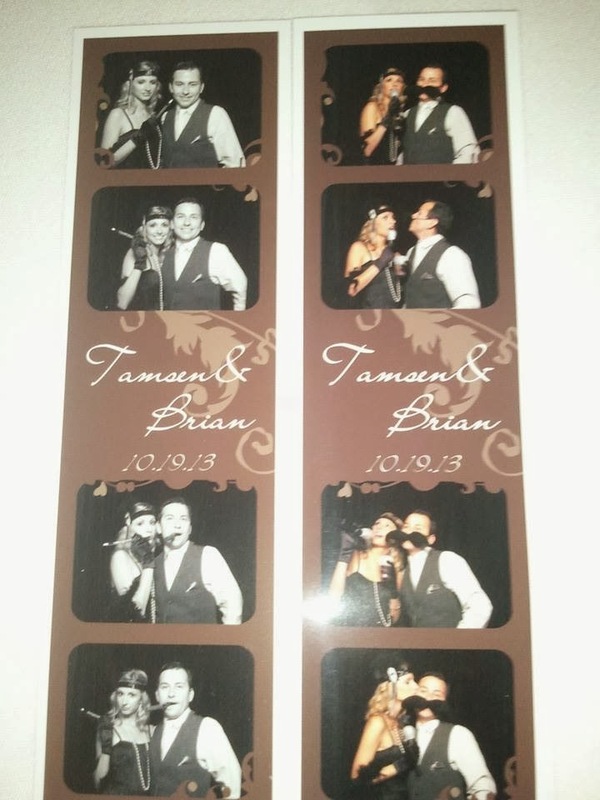 I loved it, especially the 1920's fashion. And it was really fun dressing up. 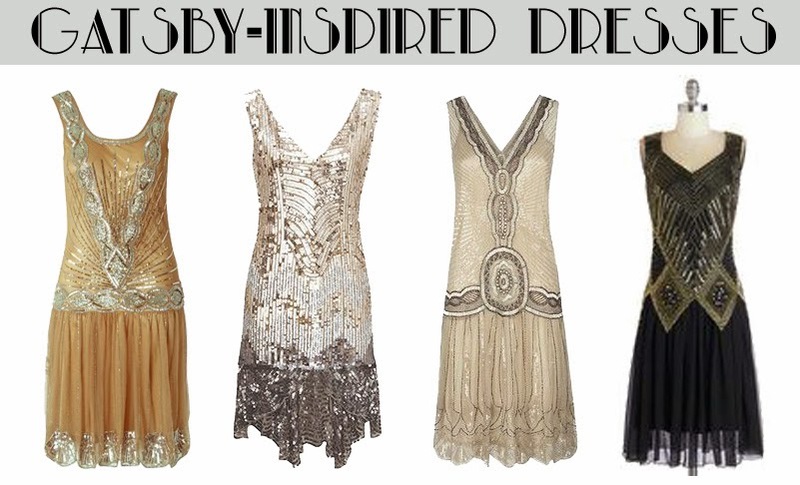 So I thought I'd share a little Gatsby-themed costume inspiration for you all. I had been gathering ideas on Pinterest for a while and it was fun putting together an authentic twenties, flapper-style look. So without further ado, here are some ideas if anyone else is planning a similar costume for Halloween, or any twenties, Gatsby-themed party! Hair - Curls, or short hair. Both looks were popular for that time. I went for the more wavy look, but remember that short hair was really in then, and also the really tightly curled locks. Headband - Gotta have the flapper headband. Preferably with feathers and sequins! You can get these at costume shops or online. I got most of my accessories at Halloween costume stores. Makeup - Smoky eyes and red lips. I wore my red lipstick and fake eyelashes. Gotta glam it up! Feather boa - Or a fur stole. But the feather boa really completes the outfit and adds to the glam factor. I went for classic black. 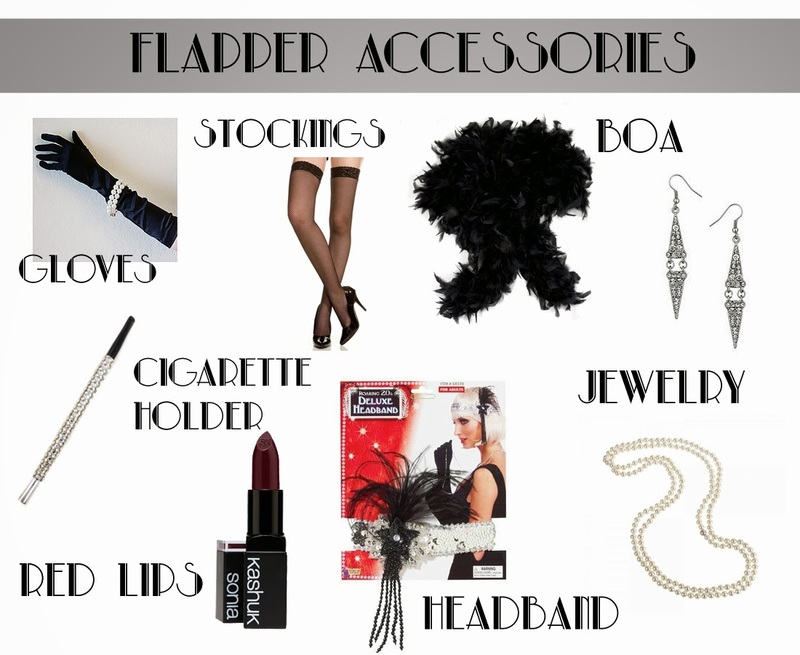 Other accessories - Cigarette holder, sequin clutch, fishnet stockings, long pearl necklace, silk gloves, and glam jewelry. You can find most of this stuff at costume stores. Although the jewelry you can get almost anywhere, of course. Another important, obvious part of this costume is the dress! I was excited to wear a flapper-style dress, and wanted one that wasn't really "costumey" but found that those are really hard to find! I didn't find much in the stores, and those I found online were either not available or more than I wanted to spend. I ended up just buying a fringy, flapper dress from a Halloween store. It was cute and didn't look too cheap like a lot of store-bought costumes do. Aren't these dresses gorg? The sequins, the bling... All of the embellishments, etc. are all very Art deco. As for the shoes, I didn't put much effort into finding vintage-looking heels; I just wore some generic black strappy heels that weren't too tall. I felt like I had a lot going on with the whole outfit, so I didn't want to overdo it with crazy heels or shoes that stood out too much. Good times! 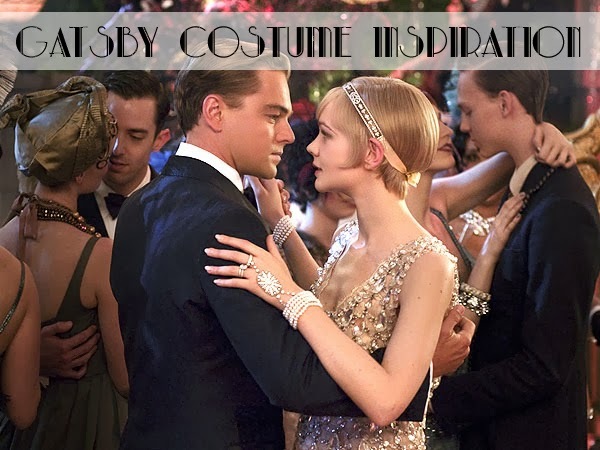 For more ideas and inspiration for a Gatsby-themed costume, feel free to check out my Pinterest board here. 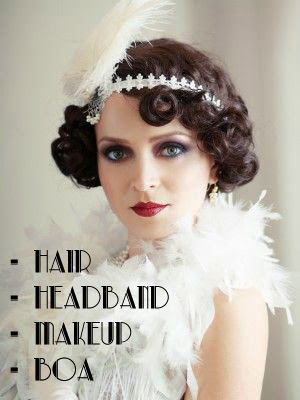 There's video tutorials for twenties hair and make-up, and lots more! Also try searching Pinterest.com for "Gatsby dresses".